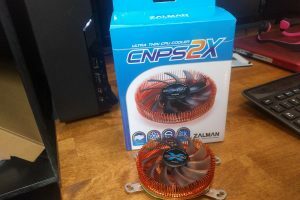 If you are overclocking your gaming PC and still have air cooling then now is the time to start thinking about buying a liquid cpu cooling kit for your pc. Not only will liquid cooling keep your pc components cooler compared to standard air solutions extending your hardware life but it will help you achieve higher overclocks that are more stable in the long-run. 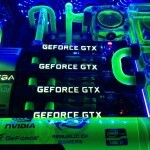 Here is a few reasons Why You Should Be Liquid Cooling Your Gaming PC! 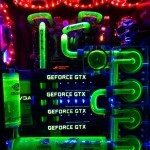 I bet you have researched liquid cooling for your computer before and was instantly put off by the price compared to a non-liquid variation and while true the initial outlay on a custom liquid cooling kit for your pc is expensive, it can infinitely scale and even adapt to the rig you have now or in the future. 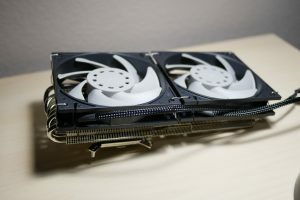 Once you have purchased your initial liquid cooling system for your computer, its relatively cheap to upgrade CPU / GPU / RAM blocks if you decide to upgrade your pc components in the future, unlike most air coolers, cooling blocks are normally universal. Where you may have spent the money on a new performance air-cooling solution instead you can spend the same money on a new water-cooling block for your system. For the same price you get more cooling efficiency and higher overclocks. There is no denying that water-cooling looks out of this world, especially when you can build your own watercooling cooling kit with 1/2 ID Acrylic Tubing, UV reactant coolant, UV Cathodes and create some really amazing effects – just check out this example. I can’t imagine sleeping with this turned on. 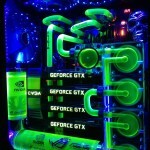 – The most powerful, compact and silent rig you can build to date; R4BE, i7-4960X Ivy Bridge-E, 32GB G.SKILL 3000MHz (at 2400MHz CL8), NVIDIA GeForce GTX TITAN 4 Way SLI, 250 l/h high flow water-cooling system with 4X360, 1×200, 1×140 & 1×120 radiators, .925 Silver CPU Block, water-blocks for motherboard, 8 sticks RAM, 4 GTX TITAN, 2 HDD and for 4 DDC pumps. Rig temp ambient +7°F. 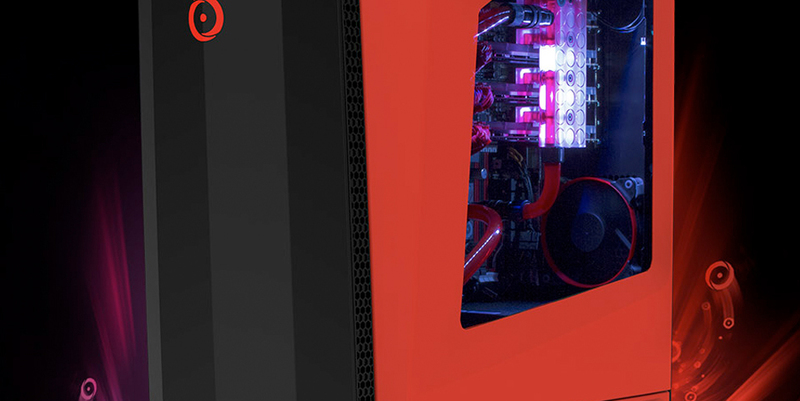 This absolute monster gaming pc is owned by Slinky PC over at overclock.net and is a prime example of what can be achieved with a quality custom liquid cooling kit (and a lot of money!). The immense amount of flow and cooling power provided has allowed him to crank his 4960x all the way upto 5.3Ghz. 5.3Ghz is not something you can achieve with air cooling or even an off the shelf AIO kit. Liquid Cooling Kit or Custom loop? With 10 years experience, several kits and custom loops under my belt, I feel custom pc watercooling is the way to go. The reason for this is that they scale a lot easier, water cooling parts don’t age as fast and can easily be used in future builds. For example the Hardware Labs Black Ice GTX360 Radiator is an extremely efficient radiator that has been a major building block in all my small builds, while the SwiftTech MCP655 Variable speed 12v pump is one of the best on the market with an extreme amount of flow. I have personally been using the MCP-655 since my Athlon64 10 years ago, in that time i have only had to replace it once and that was my own fault. not bad for under $100! Instead of buying a budget water cooling kit, spend a little extra and have a better liquid cooling system that will last for years to come and extend the lifetime of your pc components.